Mutinda is our Project Manager in Kenya. He has worked for the One Tree Love Foundation of Australia, Africa KiVo Tree Project, The Greenbelt Movement and Wanjee Nature Park. 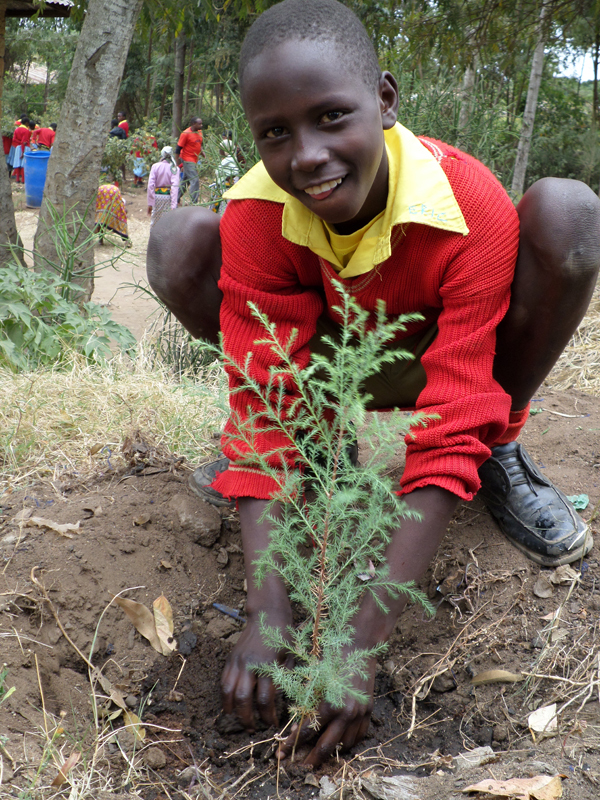 When our Food Forest Project began in Kenya in 2014, it was called the Africa KiVo Project. 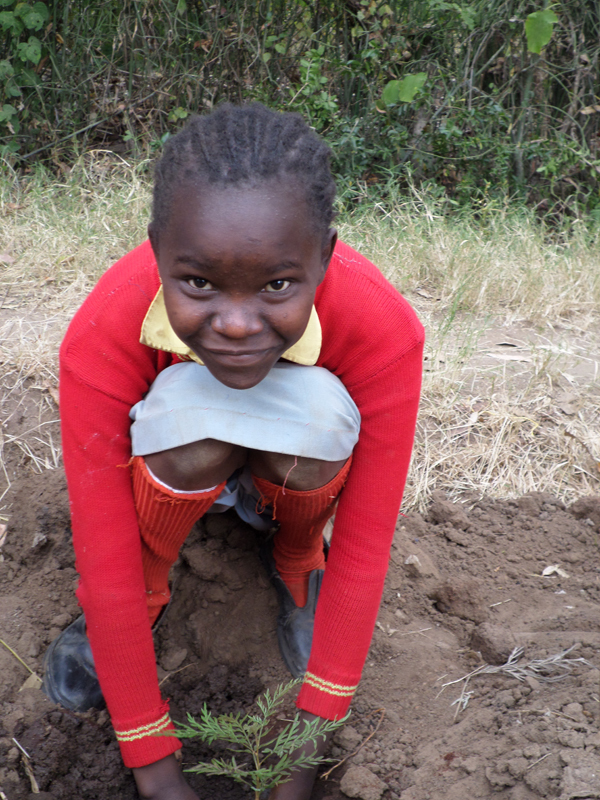 To date, we have planted 1900 trees, including guava, custard apples and avocado, and have started a permaculture project at the Mulingana Primary School in Kangundo, Kenya, with the help of our Project Manager David Mutinda and the Kamba community of women and students. 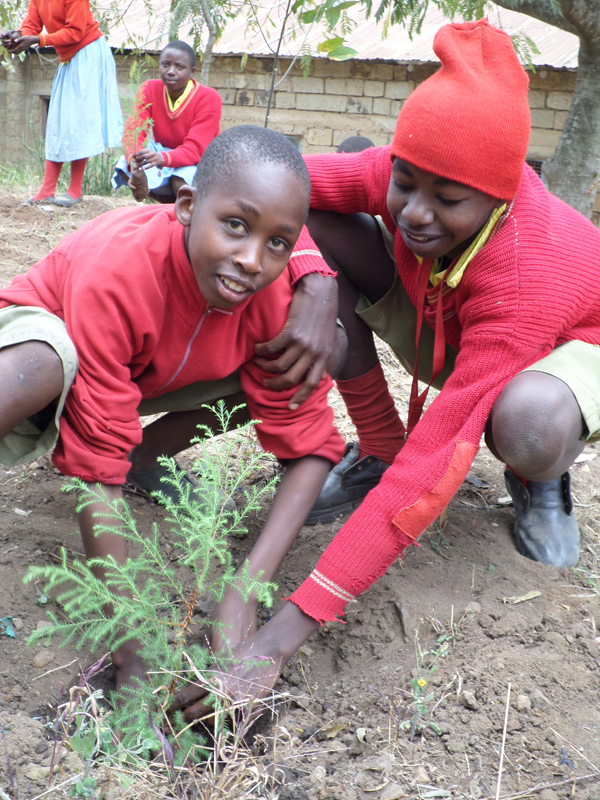 We will continue to plant trees at five more schools in Kenya as we continue with Phases II & III in 2018, by establishing KiVo Green Garden Clubs where pupils will be trained on various permaculture practices, involving composting, water harvesting and pest control methods. We also document the dance-songs that were traditionally used to bless crops, and empower women and girls to start cottage industries based on tree products and sales from surplus crops. We follow the model of Wangari Maathai who started the GreenBelt Movement in 1978. 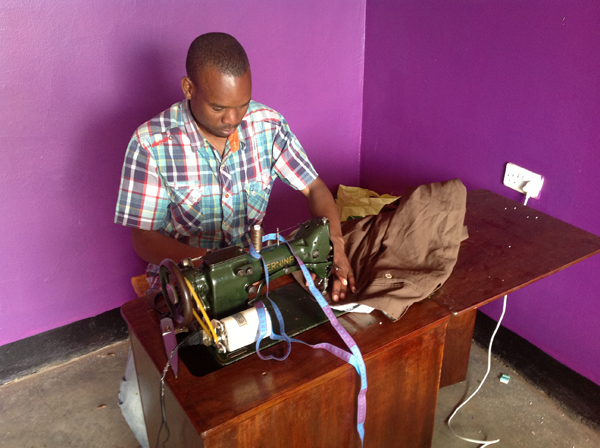 Our KiVo Sewing & Design Center in Arusha, Tanzania, closed after three years of operation. Project Manager Cosmas Haule at the helm. This is a flagship store and we hope to open a KiVo Sewing & Design Center in Kenya in 2018. Click on the photos for a slide show. 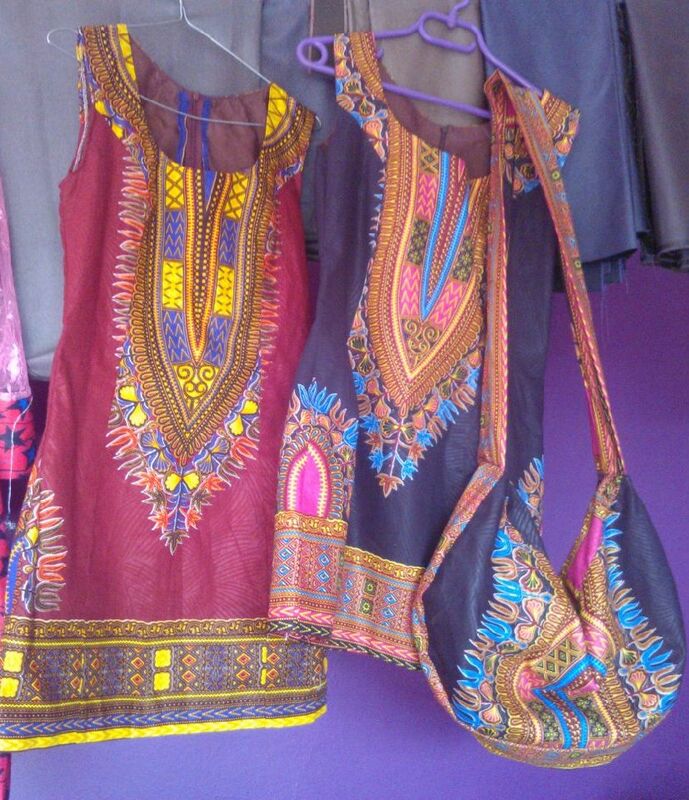 Cosmas Haul (pictured left) was our Project Manager at the KiVo Sewing & Design Center in Tanzania. He is still a Teacher at St. Joseph's Secondary School for girls in Arusha ad an Officer with Roots & Shoots, Jane Goodall's tree-planting organization.